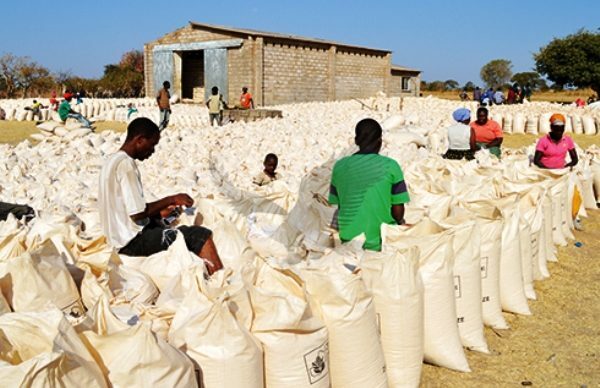 Mumbwa district requires over 4,000 metric tons of relief food to mitigate the impact of the dry spell which has hit most parts of the country. District Commissioner Felix Ndopu told a gathering in Nambala yesterday that the country has not been hit by severe hunger but will record a reduction in agricultural produce by 40 per cent compared to previous years. Ndopu explained that the preliminary investigations showed that not all households will be affected by the drought but that the yields were expected to drop to half a ton per hectare for small scale farmers and two to three tons per hectare for commercial farmers. He said the country had not been declared a disaster and people must avoid speculations but get the right information from government experts. The DC announced that the most hit area in Mumbwa with the dry spell is Nalubanda which needs 600 metric tons while the least is Shimbizhi which has a food deficit of 200 metric tons. He assured the residents that government is making everything possible to ensure that food is provided to the affected areas and that no one will die of hunger. And Nambala ward councillor Stella Chilonda said that the people in her ward would have no food and water to sustain their lives till the next farming season.